Santa Cruz Skateboard Deck Screaming Hand Repeat 7.75"
Santa Cruz Skateboards' new deck on Hard Rock Maple. The Screaming Hand Repeat deck comes on a slimmer-size shape designed for an all-around ripper who wants to hit the skatepark and streets. This 7.75" deck is made with 100% North American Maple wood. If you have any questions about this product by Santa Cruz, contact us by completing and submitting the form below. If you are looking for a specif part number, please include it with your message. 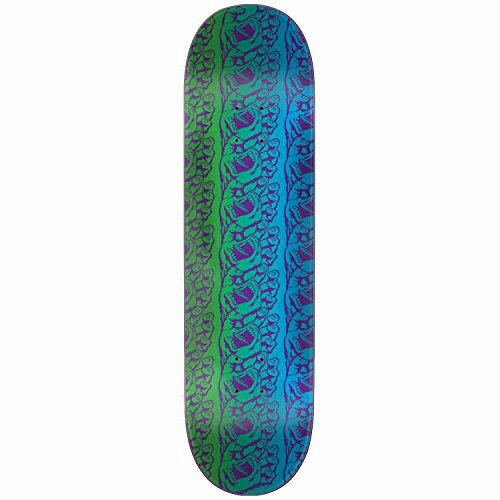 Powell-Peralta Skateboard Deck GeeGah Ripper Purple Old School 9.75" x 30"
Birdhouse Skateboard Deck Loy Remix (ast) 8.38"
Birdhouse Loy Remix Skateboard Deck - 8.38"
Powell Peralta Paul Rodriguez Skull & Sword Green Old School Skateboard Deck - 10" x 30"